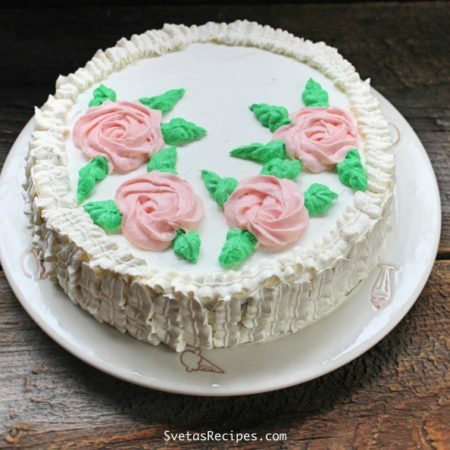 This cake is very unique and can be decorated any way you want. 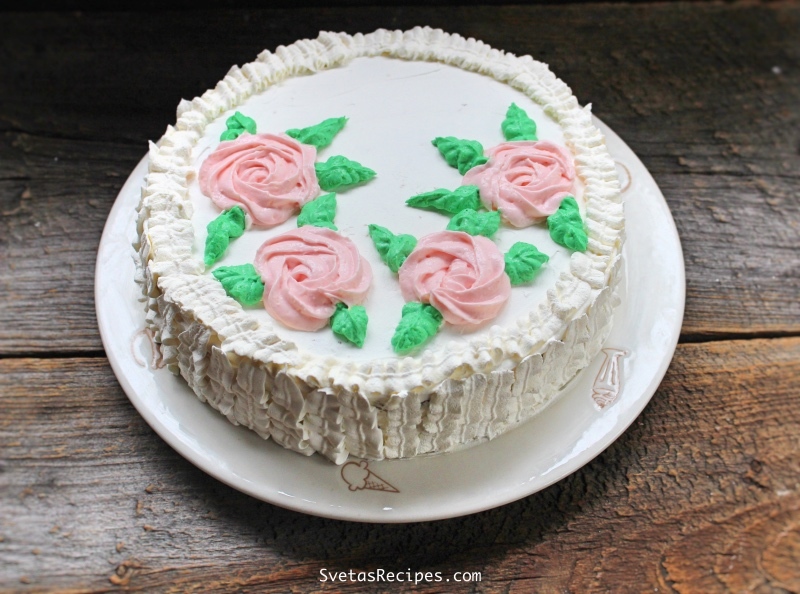 It has a perfect taste with the very nice looking butter cream flowers. 1.) 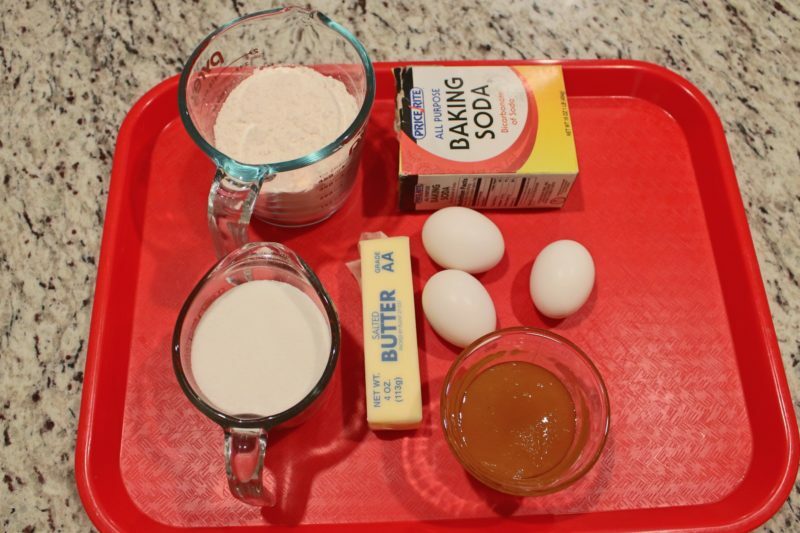 In a mixing bowl beat your eggs and sugar for 20 minutes. Next add honey and keep beating for 5 minutes. Using a spoon to mix in your room temperature butter. Add sifted flower and mix well. Pour your cake dough into 2 different cake forms with tin foil wrapped inside. Bake for 30 minutes on 350ºF, let it cool down to the touch. 2.) In another bowl add boiling water and your prunes, let them sit for about 5 minutes. Crush your wall nuts using a rolling pin. Take your cake out of the forms and cut both cake pieces into 2 making 4 layers. 3.) Take your prunes out of the boiling water and cut them into small pieces. 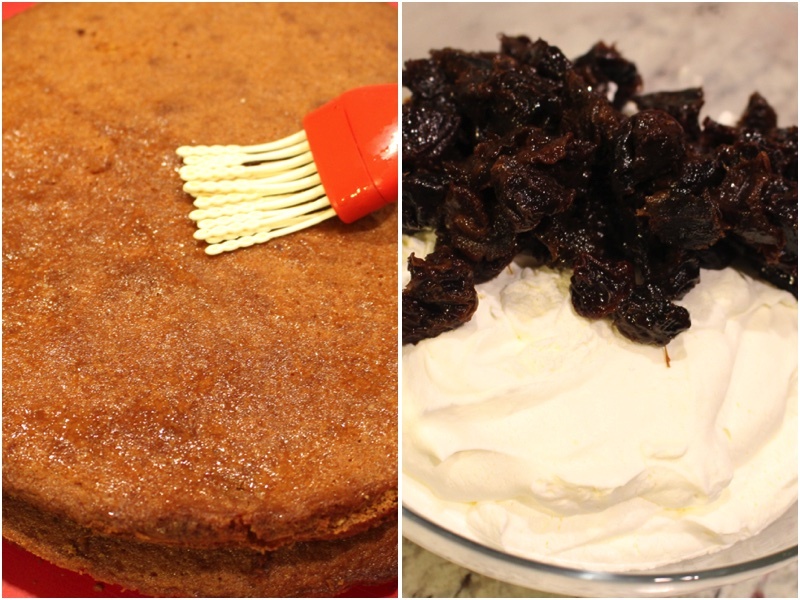 Use the prune water to soak the cake layers. For your cream, mix together heavy cream and cheese cream, add your prunes and mix with a spatula. 4.) 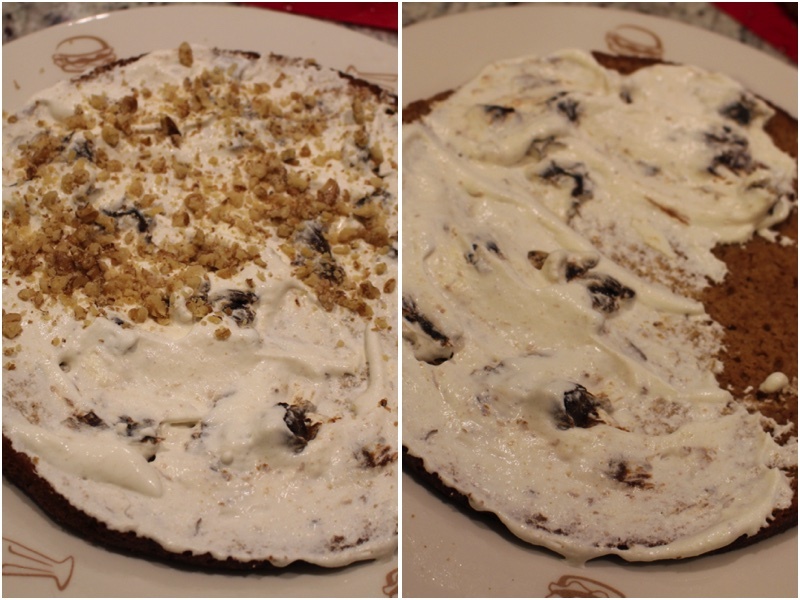 Using a spatula spread your cream evenly on your cake layers while sprinkling your crushed walnuts on top. Do this for all 4 layers and stack them on top of each other. 5.) 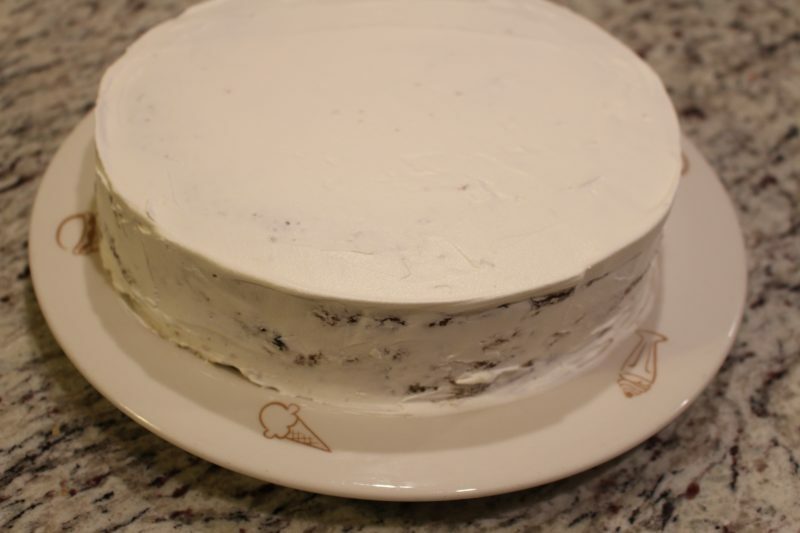 Using your left over cream cover the whole cake with a spatula. Decorate using a piping bag anyway you want to, cut and enjoy. In a mixing bowl beat your eggs and sugar for 20 minutes. Next add honey and keep beating for 5 minutes. Using a spoon to mix in your room temperature butter. Add sifted flower and mix well. Pour your cake dough into 2 different cake forms with tin foil wrapped inside. Bake for 30 minutes on 350ºF, let it cool down to the touch. In another bowl add boiling water and your prunes, let them sit for about 5 minutes. Crush your wall nuts using a rolling pin. Take your cake out of the forms and cut both cake pieces into 2 making 4 layers. Take your prunes out of the boiling water and cut them into small pieces. 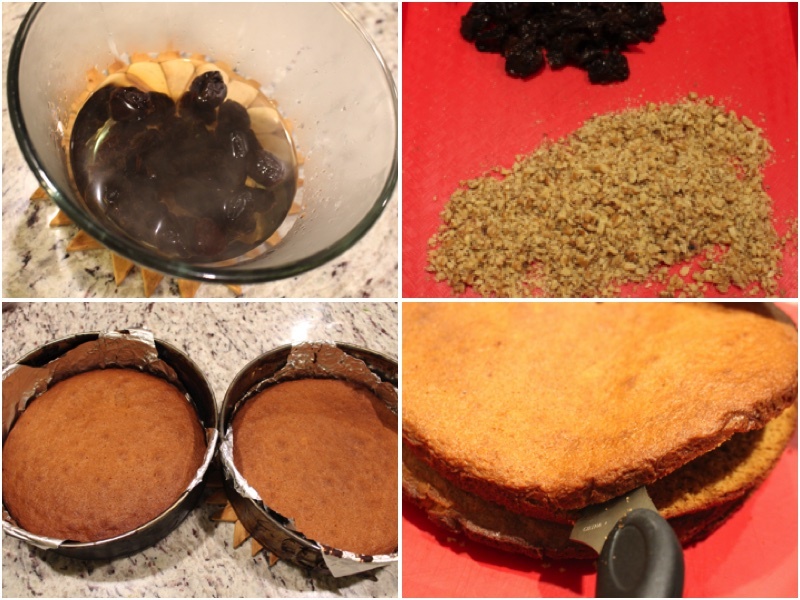 Use the prune water to soak the cake layers. 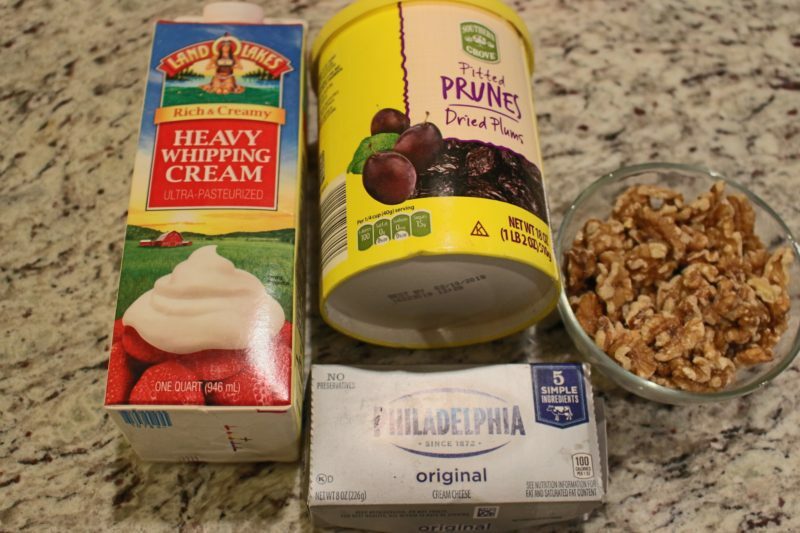 For your cream, mix together heavy cream and cheese cream, add your prunes and mix with a spatula. Using a spatula spread your cream evenly on your cake layers while sprinkling your crushed walnuts on top. Do this for all 4 layers and stack them on top of each other. 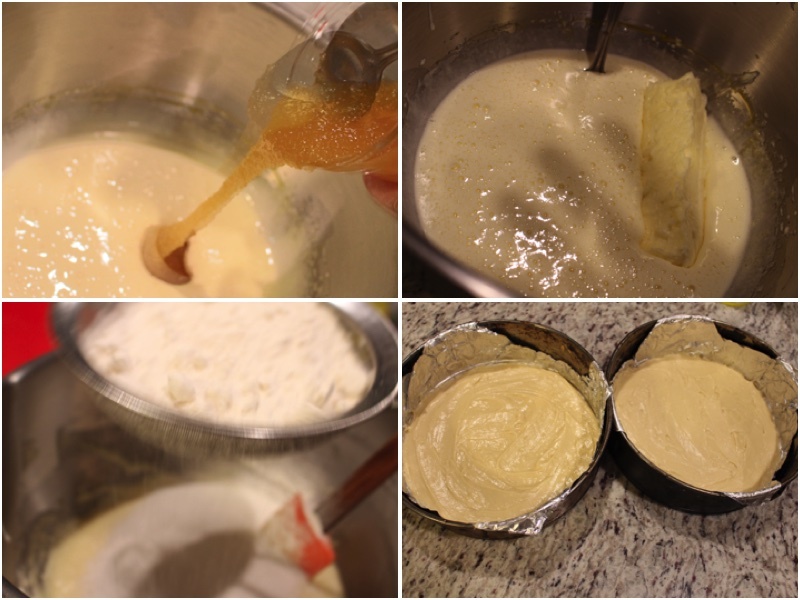 Using your left over cream cover the whole cake with a spatula. Decorate using a piping bag anyway you want to, cut and enjoy.